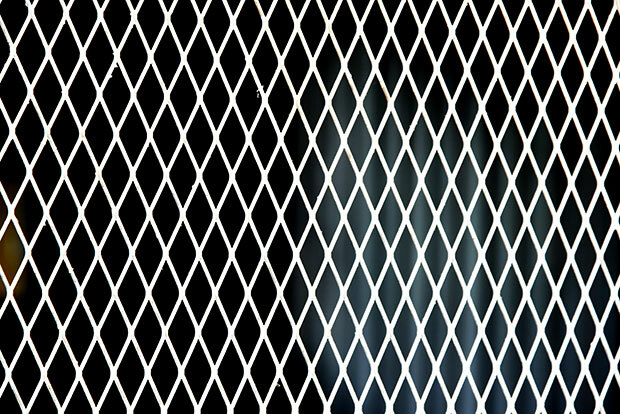 They were once the hallmark of homes in Australia and around the world, but as the world has changed diamond grille screens are now ill-equipped to face the security needs of modern Australia. When you look at the alternatives you can understand why getting a diamond grille screen just isn’t worth your time or your money when you’re making the effort to make your home a safe, secure place. Diamond grille screen doors were traditionally chosen because of the strength of the structure, as they provided a level of physical protection that went above and beyond that offered by flyscreen doors. But these days the strength advantages of diamond grille screen doors have become somewhat negligible, particularly when you consider the many advances in mesh screen door technology that we have seen over the last few years. Advancements in screen technology has seen the rise of good quality mesh screen that provides a greater level of protection than that offered by the more traditional, somewhat outdated diamond grill screen door options. These innovations have seen mesh screens gain more strength and become a more viable option when it comes to protecting your home from undesirable break ins. If you want cool airflow coming into your home a diamond grille screen just doesn’t cut the mustard. Opening your main door and leaving the diamond grille screen door in place will ensure that big physical presences won’t be able to make it into your home, but all manners of nasty creepy crawlies will be able to waltz right through. Having an appropriate amount of fresh air in your home is of the utmost important to healthy living, and as such diamond grilles don’t cut it. The outdated look of these screens is another factor for no longer being in vogue. Whichever way you cut it they just don’t look as nice as the mesh screen alternatives and if you’ve got a fly screen door installed as well next to your diamond grille that’s not an aesthetically pleasing look. Your door is the first thing people see when they come to visit your home so it’s only understandable that you would want yours to make a good impression. You’ve probably seen a diamond grille screen door every time you visited your grandparent’s house when growing up. However due to the very nature of the structure and how much metal is exposed to the elements, these screens simply don’t stand up well to the rigours of time. Add to this the fact that they offer virtually no protection from the elements. Mesh screen doors are generally made with superior materials and treated with the appropriate products to make sure that they stand the test of time, no matter what circumstances they face.